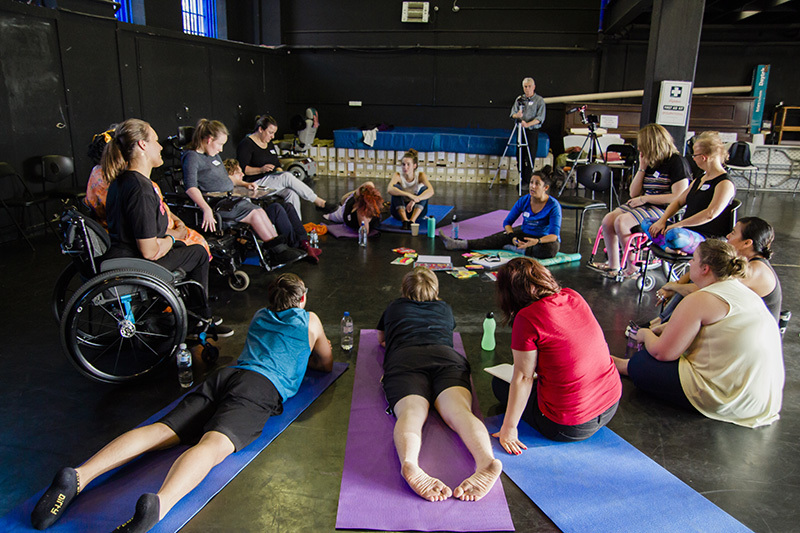 A nationally funded research project Disability and the Performing Arts in Australia: Beyond the Social Model will be hosting quality facilitated workshops for artists with disability. The workshop series is open to artists from across the performing arts, including dance, theatre, music, experimental arts, multimedia producers, film makers and writers. As this is in part a research project, participants will be asked if researchers have permissions to document the process. To provide an opportunity for artists to share creative perspectives in a safe and inclusive environment. Encourage artists to build collaborations and networks with each other, and the arts industries. Help develop the disability and arts sector. Research access and inclusion ideas for broader arts industries. Cost: Free for successful applicants. To participate, apply HERE. What to expect from the workshops? Workshops will include movement, music, voice work, discussions and improvisation. Workshops will include working individually and in groups. Generate further awareness and documentation of disability and the arts on a national scale. Develop a better understanding of funding, sustainability and what drives an artist to make work. Encourage participants to share their own goals to help spark new work, or training desires and collaborations.